Mathematical modeling is used to help solve the problem of the polluted waters of Lake Okeechobee. The New York Times published a science story this week focusing on the challenges of water management in South Florida, especially at Lake Okeechobee with its 80-year-old earthen dike and polluted water. Climate change – in this case, unusually heavy rain – has caused “the most significant threat” to the lake with its three major estuaries bearing the brunt of the deluge. 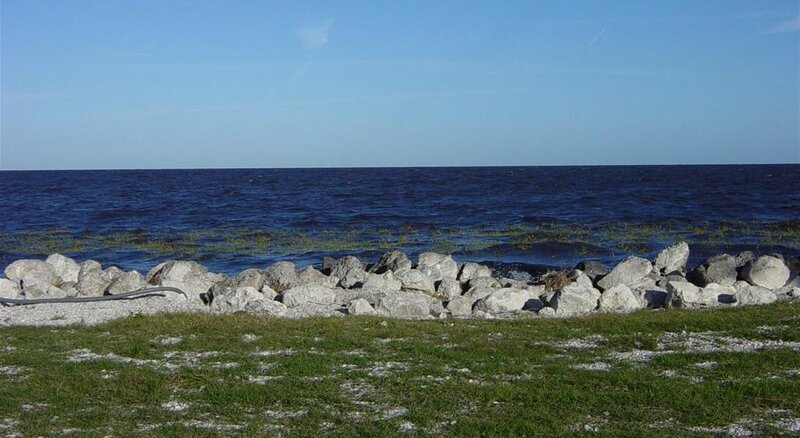 NIMBioS postdoctoral fellow Jiang Jiang’s research focuses on ways mathematical modeling can help inform scientific management of ecosystems like Lake Okeechobee. Jiang focuses on developing models that can help predict changes to coastal vegetation due to storm surges, which occur as a result of increased frequency of hurricanes and other extreme weather. South Florida suffered through extreme drought during the dry season of 2010, Jiang explains. But last May, downpours hit, bringing Lake Okeechobee’s water to record levels. One of the ways officials dealt with the deluge was to release billions of gallons of the lake’s polluted water into the estuaries to the east and west, overwhelming the estuaries, which rely on a natural balance of salt and fresh water. Salinity in the eastern estuary is now at zero percent, which kills marine life and threatens the sea grasses and reefs that help sustain the estuaries. In response, officials plan to send some of the water south toward the Everglades, where it should flow naturally. But Lake Okeechobee’s phosphorous levels, which cause algae to bloom, are far higher than permissible. So to protect the Everglades, the water must be filtered and treated, unlike the water that is pushed to the east and west estuaries. “The habitat is fragile to these kinds of disturbances,” Jiang said. Modeling techniques developed by Jiang and his colleagues are among the first to couple vegetation dynamics with soil hydrology and salinity to study the factors that affect coastal vegetation in ecotones, areas where vegetation changes abruptly, such as mangroves to hardwood hammocks. Salinity appears to be the critical factor separating vegetation communities, and a self-reinforcing feedback is the main mechanism for creating sharp coastal boundaries and maintaining the ecological resilience of the ecotones according to Jiang’s research. Jiang’s models are just part of the adaptive management approach that the South Florida Water Management District has utilized. Another tool has been the ATLSS project or Across Trophic Level System Simulation, which offers a suite of models that can be used specifically for hydrology scenarios. NIMBioS Director Louis Gross is the principal investigator on ATLSS. This entry was posted in ecology, postdocs, research and tagged climate, ecology, postdocs, research. Bookmark the permalink.